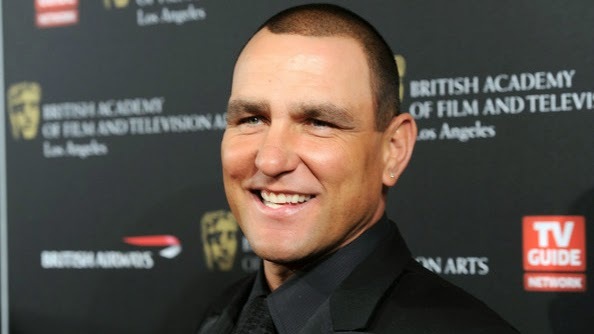 “Arrow” has cast British actor Vinnie Jones as comicbook villain Danny “Brick” Brickwell in season three, Variety has learned exclusively. This is the character’s live-action debut, although Brick has previously appeared in the animated DC/WB series “Young Justice” and in a Green Arrow-centric DC Nation short on Cartoon Network, which you can watch below. “Arrow” executive producer Andrew Kreisberg utilized the villain during his run writing the Green Arrow comics in the late aughts, and his name was previously teased on the show as a corrupt businessman on Oliver Queen’s (Stephen Amell) list of targets. “Arrow” has already cast a number of iconic DC characters in season three, including Brandon Routh as Ray Palmer (aka The Atom), J.R. Ramirez as Ted “Wildcat” Grant, “Spartacus” alum Nick Tarabay as Captain Boomerang, Amy Gumenick as Cupid, David Cubitt as Mark “Manhunter” Shaw, and Matt Nable as Ra’s al Ghul. Jones can next be seen as a regular on ABC’s midseason musical comedy “Galavant.” He is repped by Elevate Entertainment and Innovative Artists. “Arrow” airs Wednesdays at 8 p.m. on The CW.